Paper is among the most produced and discarded materials in the world. It can be recycled, but through each cycle it loses quality as the fibers grow smaller. That’s why Eindhoven-based Korean designer Woojai Lee decided to turn discarded newspaper into a new building material instead. 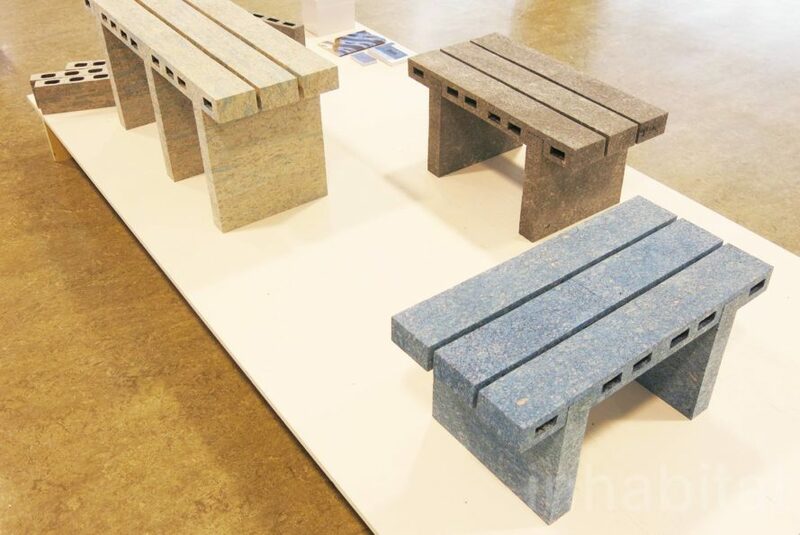 The project includes small tables and benches, as well as bricks that look like concrete masonry units and can be cut, milled and sanded just like regular wood. The material is made by first turning newspaper into pulp, and then mixing it with wood glue and molding it into shape. After setting, the bricks are taken out of the molds to dry and then sanded to create smooth edges. The resulting 2-inch-thick bricks measure 4 inches wide by 11.8 inches long and boast a unique marbled look that the warmth and soft tactility of paper. We spotted Woojai Lee’s ‘Paper Bricks’ at the Design Academy of Eindhoven‘s Graduation Show during Dutch Design Week, held in the Netherlands from 22-30 October, 2016. Paper is among the most produced and discarded materials in the world. Eindhoven-based Korean designer Woojai Lee recycles scrap newspaper for his 'Paper Bricks' project. 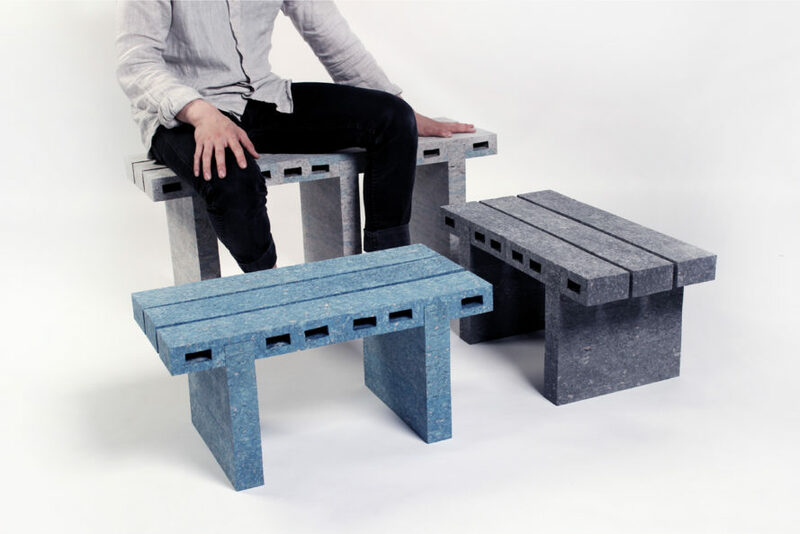 The project includes small tables and benches as well as bricks. The material is made by first turning newspaper into pulp, then mixing it with wood glue and molding it into shape. 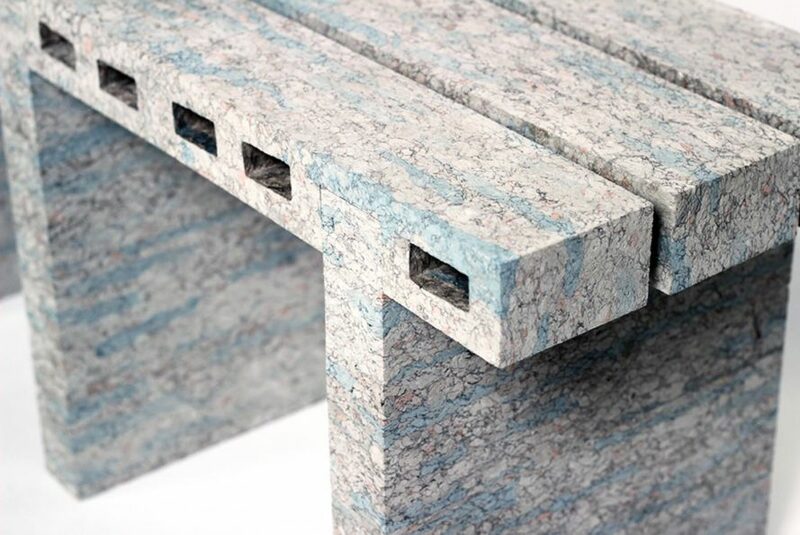 The furniture boasts a unique marbled look that the warmth and soft tactility of paper. 'Paper Bricks' is currently on show at the Design Academy of Eindhoven's Graduation Show in the Netherlands.